﻿ Lagoon Lodge Knysna. JIMAT di Agoda.com! Ada soalan mengenai Lagoon Lodge? Terletak pada kedudukan yang baik di Paradise, Lagoon Lodge adalah tempat yang sesuai untuk memulakan lawatan anda di Knysna. Dengan lokasi hanya 31 Km dari pusat bandar dan 69 Km dari lapangan terbang, hotel 3-bintang ini menarik banyak pelancong pada setiap tahun. Untuk pilihan bersiar-siar dan tempat daya tarikan tempatan, pelancong tidak perlu pergi jauh dari hotel kerana ianya berdekatan dengan Sungai Knysna, Buyambo Tours, Seni Halus Kayu Katherine. Kemudahan dan perkhidmatan yang disediakan oleh Lagoon Lodge memastikan penginapan yang menyenangkan bagi para tetamu. Pilihan kemudahan kelas atasan seperti Wi-Fi di tempat awam, tempat letak kereta, pengangkutan lapangan terbang, bilik keluarga, kemudahan BBQ boleh dinikmati di hotel. Lagoon Lodge mengandungi 7 bilik yang dihias indah dan menawarkan bilik larangan merokok, meja, bar mini, beranda/teres, kipas. Sama ada anda peminat kecergasan atau hanya mencari cara untuk bersantai setelah seharian bekerja, anda akan dilayan oleh kemudahan rekreasi kelas tertinggi seperti padang golf (dalam jarak 3 km) , taman. Temui gabungan yang menarik antara perkhidmatan profesional dan pelbagai kemudahan yang ada di Lagoon Lodge. A bit tired looking- great potential if spruced up a bit. No hairdryer but I survived. Good value for money. Great views. staff were very friendly. Good place to stay. Overlooking lagoon. Off road parking. Nice staff, including the owner. They were all friendly, accommodating and helpful, and especially Apple (the manager) who went above and beyond. The location is amazing and the room was very inviting. I recommend this guest house to all stopping over in Knysna. The owner was full of insites and very welcoming. We would definitely stay over again if we are in the area again. Once found, a good location close to amenities. Nice views over the bay from the upper stories. I was in a down stairs unit. The noise from people walking around in the upper two floors made sleep impossible. A lack of road signage made locating the place annoying. A sign on the main road would be very helpful as the place in only a shot distance off the main road. Having the reception on one road and the access on another was also confusing. When I departed at about 9am the reception was unattended. 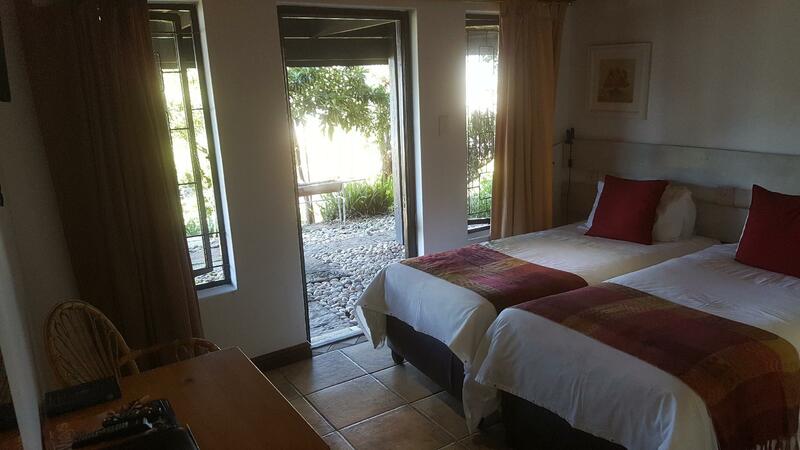 Lagoon Lodge is located near Knysna Bay and offers beautiful views of the bay and peninsula. Breakfast was very plentiful with a great selection of food. Our host helped us plan our activities for the day. Our room was VERY basic with a small shower and bathroom and no amenities, but there was a kitchenette that we didn't use. Our beds were comfortable, but we heard people walking on the floor above us. We had to wait for about 30 minutes to check in because there was no one there to assist us. I found the manager really helpful. I need to get a document printed off before i left and the manager willingly opened up the office to print the document out for me free of charge. The room I stayed in was clean and well equipped and the breakfast was good too. Good view, but location is out of town, near the main road, so overall, a bit noisy. Staff was great. Good value for the money. great stay lovely staff and have recommened to friends and very easy to find. it was great,service good.I would recommend it to my friends.Good value for money.Breakfast was good. Das Frühstück ist der Hammer, täglich frischer Obstsalat, hausgemachter Joghurt, versch. Eierspeisen , Service und Hotelmanager super freundlich. Die Zimmer geräumig und gut ausgestattet. Angenehm. Alle Fragen bezüglich Ausfügen und weitere wertvolle Tipps erhielten wir vom Hotelmanager. Die Lodge ist sehr gepflegt und wir haben dem Aufenthalt sehr genossen. Jederzeit können wir empfehlen dort einzuchecken. Obwohl wir erst spät eintrafen, hat die Gastgeberin extra auf uns gewartet. Die Zimmer sind gut ausgestattet. Man hätte sich sogar selbst versorgen können. Das Frühstück gab es teils in Buffetform, teils als individuelles Tellergericht wunschgerecht zubereitet. Die Gastgeberin half mit vielen Tipps zu Unternehmungen in der unmittelbaren Umgebung mithilfe eines Stadtplanes. Die Umgebung ist sehr reizvoll und lädt zu unterschiedlichen Unternehmungen ein.